Messnerhof in the South Tyrolean Val Sarentino! Our historic farm, family-owned since 1700, is situated at 1,560 metres above sea level in the heart of the car-free village of Valdurna in Val Sarentino. Here, in the home of quill embroidery and the Val Sarentino mountain pine, tradition and culture are still very much alive. Less than an hour’s drive from Bolzano, holidaymakers can experience one of the most traditional valleys in South Tyrol – surrounded by lush green meadows, healthy forests and more than 140 panoramic peaks. The idyllic village centre with two inns and the Church of St. Nicholas is just a stone’s throw away. The Lago di Valdurna, one of the most beautiful mountain lakes in South Tyrol, is also in the immediate vicinity. In winter, the nearby Reinswald ski resort attracts visitors to the place. There is also plenty to see and do on the farm itself. Our young guests can have fun running around in the playground and we also have bovine, chickens, sheep, kittens and our farm dog Laika. Pets are allowed (by prior arrangement) at our property. We want you to feel at home with us. 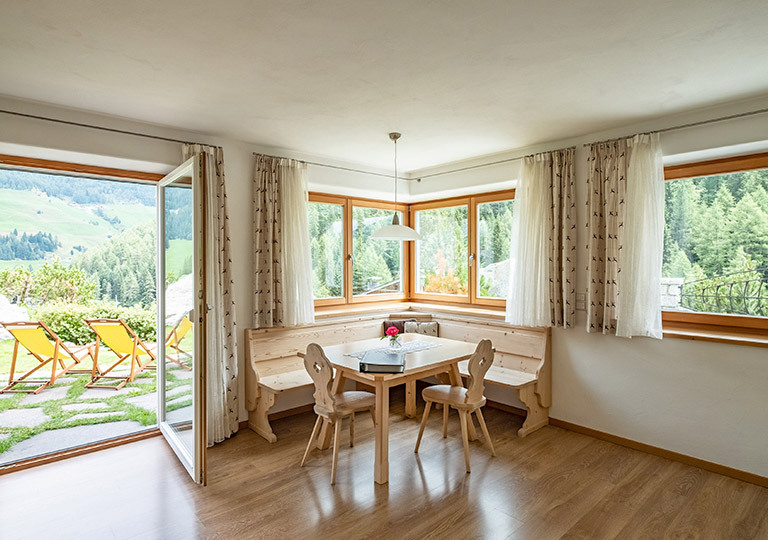 You have a choice between three spacious holiday apartments in the newly built climate house A or one of the three rooms with bathroom in the historic Messnerhof farmhouse building. On request, we are happy to prepare a delicious farmhouse breakfast for you in our historic parlour – tantalise your taste buds with our farm products such as spoiled beef, sausages, fruit spread and eggs! We look forward to your visit to the Messnerhof; we are available all year round. 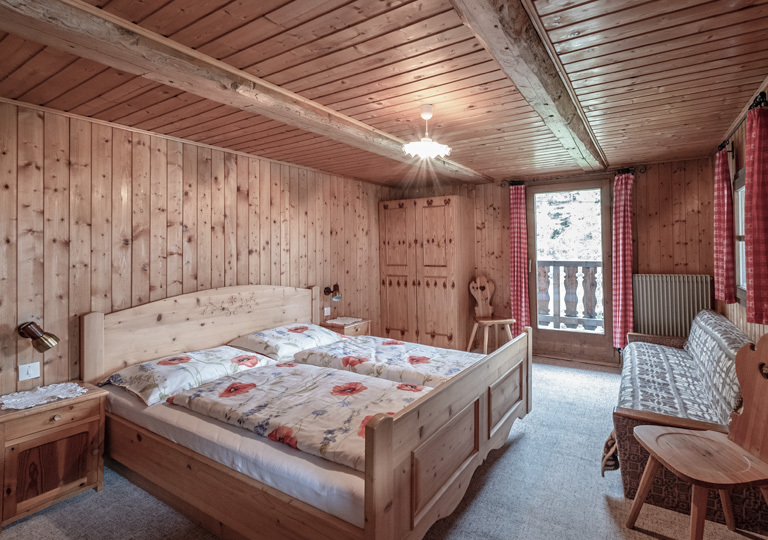 Charmingly decorated holiday apartment Val Sarentino for two to five people (55 m2). 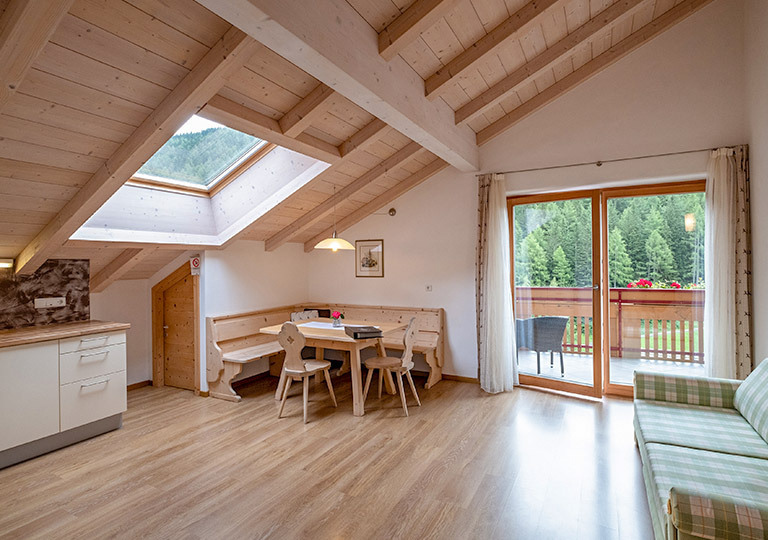 Bright, modern well-equipped holiday apartment South Tyrol for two to five people (55 m2). Three cosy, wood-panelled rooms in alpine style for two, three and four people.